Ensure that your property is distributed according to your wishes and not according to Oklahoma’s intestate laws. Provide for the financial care of your family. Decide who will take care of your children upon your death. Ensure that your remains are handled the way you want rather than the manner someone else chooses for you after your passing. If you fail to prepare a last will and testament, Oklahoma’s intestate laws will decide who receives your property, who is appointed as your Personal Representative and, in some cases, the state will decide who has the care of your minor children should both you and your spouse pass away. Because your wishes are typically not represented by these laws, it is very important that you contact an experienced Tulsa Will Drafting Attorney to prepare a will for you. With years of experience in estate planning, Tulsa Estate Attorney Earl D. Lawson can handle all of your estate planning and will drafting needs. He understands that writing a will is not easy; therefore, he works diligently to make the process as simple and stress-free as possible. 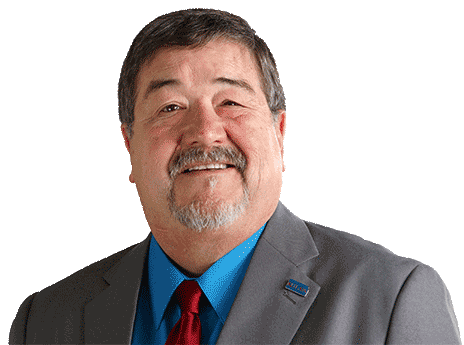 Mr. Lawson explains everything you need to know in easy-to-understand terms and informs you of all of your legal options as he assists you with preparing a will to manage your affairs. Contact Attorney Earl D. Lawson at (918) 876-4500 to schedule a free consultation. A will is a written document that is legally binding, provided it adheres to the laws of Oklahoma governing the drafting of wills. A Tulsa Will Drafting Attorney utilizes a will to set forth your desires for the division of your property after your death. You may also appoint a Personal Representative to administer your estate as well as name guardians and conservators for any minor children named in the will. Having a will ensures that your final wishes will be carried out; however, the will must be valid or the state could reject the will and your estate would then fall under the intestate laws for Oklahoma. You must be at least 18 years old at the time the will is signed. You cannot be under any duress to sign the will. In other words, the will must be signed freely and of your own will. The will should be in writing. There shall be two witnesses are non-interested parties (they are not receiving any benefit from the will. The will must be notarized in the manner prescribed by state law. 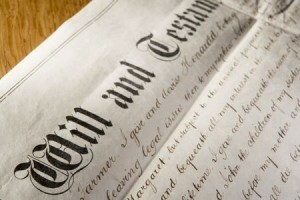 Any formalities for executing a will contained in state law must be strictly followed for the will to be valid. The last thing that you would want is for your will to be judged invalid or subject to objection by third parties. In order to ensure that this does not happen, you need the skills of an experienced Tulsa Will Drafting Attorney. Earl D. Lawson has the skills necessary to draft wills that will be upheld in court if they are challenged. Your estate and your family are far too important to trust them to an attorney who does not have the experience necessary to ensure your final wishes are carried out. Call Mr. Lawson today at (918) 876-4500 for your free consultation to see how drafting a final will can benefit your family. When you need the services of an estate planning or wills attorney with the experience to handle all types of situations, call Oklahoma Will & Trust Attorney Earl D. Lawson. Lawson is a skilled Tulsa Will DraftingAattorney who understands the laws regarding Oklahoma wills as well as the sensitive and emotional issues involved in drafting a will. It can be stressful when you are trying to accommodate all of the wishes of each of your family remembers. However, Mr. Lawson will focus on your wishes as he helps you draft a final will and testament that makes clear what your final wishes are and that is legally binding so that your wishes must be carried out upon your death. Contact an experienced Tulsa Will Drafting Attorney today for a free consultation about the best approach to protecting your legacy. Call (918) 876-4500 to schedule your free consultation. We are conveniently located at 201 W. Fifth Street, Suite 404 in Tulsa, OK.